Though we often think of addiction as a lonely, individual experience, addiction is a family disease. As such, it is essential that you and your loved ones work together in order to find true recovery. 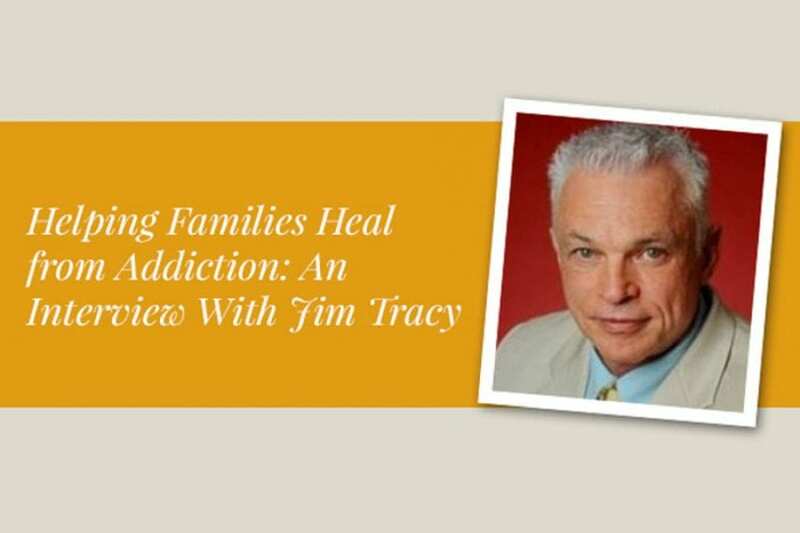 In this interview, Jim Tracy shares his thoughts on how the Family Program at Alta Mira helps families cut through shame and find connection, understand and change family dynamics, and find their own recovery. Hope, healing, and transformation are all possible with proper treatment and support. Loving someone who is struggling with addiction can be extraordinarily painful. Watching their self-destruction while coping with your own fear, shame, and isolation can often feel like too much to bear. Often, there is a profound sense of powerlessness; you experience a deep sense of vulnerability to the ebbs and flows of your loved one’s substance abuse. So when they agree to seek addiction treatment, you want to feel elated. You feel as though you should be imbued with renewed hope and possibility for healing. But sometimes that just isn’t the case, particularly if they have tried treatment in the past only to relapse. Instead, the sense of powerlessness often remains—you are counting on the most vulnerable member of your family to restore normalcy. But the wounds their addiction has inflicted are still raw, and you wonder if it is too late to heal. Addiction, however, isn’t simply an affliction of the addicted. Your family has to work together in order to truly overcome the illness that has brought such pain to all of you, and your own participation is vital for moving toward sobriety and collective healing. Jim Tracy understands this well. A former dentist, he entered California’s Diversion Program for dental professionals struggling with addiction after his own substance abuse could no longer be denied. There, he found the support he needed to regain his sobriety. In fact, everyone in the program seemed to get better. But their families didn’t. “The families got angrier during that time,” he says. “So I started to see that the families were underserved.” This realization spurred Tracy to find a new purpose: supporting families of those struggling with addiction. Today, he is Family Program Director at Alta Mira, where he seeks to give each family member the resources they need to heal. 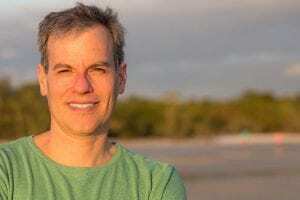 In this interview, he shares his insights into the challenges families face and how the Family Program can change the lives of both addicts and their loved ones. It is often said that addiction is a disease not of the individual, but of the family. This concept has been confirmed for Tracy both personally and professionally. It deeply informs his approach to his work, which is guided by the principles of family systems theory. “Family systems theory teaches us that each member of the family can affect the function of the whole,” he says. Unfortunately, many families, after experiencing profound vulnerability to their loved one’s addiction, don’t intuitively recognize this dynamic. Family members feel that their lives have just been ruined by the addiction and they have so much focus on the addict. They think, ‘If we could just get him fixed, then all of our problems will magically go away as if they never existed.’ But to just say that the addict needs to go to treatment and get fixed and then come back is totally missing 80% of the problem. For Tracy, truly effective addiction treatment must address that 80% and work from the understanding that the family itself is the client. The Family Program at Alta Mira is a 4-day program designed to bring families together for psychoeducation, peer process groups, and family support sessions. Unlike many family programs, the structure at Alta Mira is built around exercises rather than lectures, allowing opportunities for self-expression, reflection, and connection. “The first day I have them do a timeline of their own history where they tell the story of the addict and they also tell the family story of what they’ve been through,” Tracy says. These are things they often haven’t thought about, maybe ever, and certainly haven’t talked about to anybody else. They come in feeling that no one else in the world has ever been through what they have been through. Then they hear each other’s stories and they go, ‘My God, we’ve done the same stuff, all of us.’ That’s very relieving for them and that’s where they start to get connected. Indeed, the discovery of commonality is, for many, the most powerful aspect of the Family Program; often, they have been so ashamed, alone, and silent about their experiences that finding others who have been where they are is utterly transformative. They feel safe and even hopeful, perhaps for the first time. Tracy recognizes that enabling typically arises from fear and that changing enabling dynamicsrequires the acquisition of new skill sets. In the presence of addiction, people start reacting rather than making rational choices. They’re going to make fear-based decisions that don’t usually serve them well. So some of the skills they learn are to recognize when they’re getting full of fear and having some things they can do—talk to someone, call someone. If they can put some time between their decision and their reaction, they’re going to make the right choices. This fear-based reactivity is, in many ways, a traumatic response. I see that families have been living in fear, anxiety, tension, chaos, and, sometimes, terror for so long that they can actually start exhibiting symptoms of PTSD. Once that’s there, that is not going to change unless the family does their own work. When they come in, they often have no understanding of how severely they have been affected. But through the program, they start to become in touch with that. They also start to understand the need to do their own work way beyond the Family Program. While the Family Program can be a pivotal point in healing, it is not an end in itself. Rather, it seeks to act as a gateway toward individual recovery for each member of the family. For most, this means connecting to individual therapists and peer support groups outside of Alta Mira. “If everyone in the family is working on their own recovery, then we see the family coming together on a healthier, more functional level than they ever thought possible,” explains Tracy. Having individual recovery support can be particularly vital when your loved one returns home after residential care. This is a highly vulnerable time for the person struggling with addiction, but it can also be a time of intense distress for you. “After treatment, it’s common for families to feel like, ‘What if I do something that’s going to make them use?’ Sometimes they fall back into that hyperreactivity and become their loved one’s probation officer,” says Tracy. Working with a family case manager to create a system of monitoring and accountability for the whole family can be invaluable at this stage. “If they have a third-party whose is doing the case management for the whole family, then the family can more effectively work on their relationships.” While the case manager can keep the addict accountable, they can also help to keep you accountable for your own therapy and recovery to ensure you stay on track and have the support you need. It has been well-established that people whose families are actively involved in recovery have better treatment outcomes. However, the kind of involvement you have in recovery matters. Tracy seeks to create transformative experiences for the whole family by bringing you out of the shadows and helping you create new a new future in which you can recapture your joy, deepen your bonds, and open up a world of possibilities. 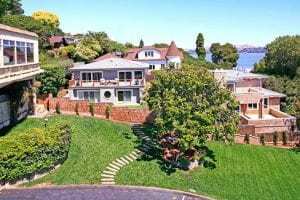 Alta Mira offers comprehensive treatment programs for people struggling with addiction as well as co-occurring mental health disorders and process addictions. Contact us for more information about our renowned programs and how we can help you or your loved one start the journey toward lasting recovery.